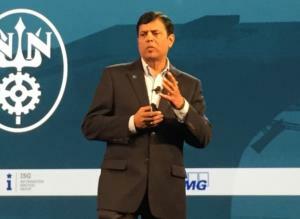 Newport News Shipbuilding CIO Bharat Amin is challenging regulations as he drives a transformation geared to digitize IT systems and processes. When Bharat Amin began his job as CIO of Newport News Shipbuilding in 2014 he was surprised to learn that no smart devices were permitted on premises. The 130-year-old maker of nuclear-powered submarines and aircraft carriers prohibited photography of any kind, a policy intended to ensure information security for a manufacturer operating under the watchful eye of the U.S. Nuclear Regulatory Commission (NRC). Bharat Amin, CIO of Newport News Shipbuilding. The company's 22,000 employees left their iPhones, iPads and Android devices in their cars before they entered the building. That practice was anathema for Amin, who the company hired to modernize legacy technology systems and automate traditionally manual business processes. "If you want to go digital, why would you not have a smart device?," Amin asked an audience of his peers at the Technology Business Management conference in San Diego last month. "Imagine hiring a millennial to come work and saying 'Leave your great technology behind, you come work for us and we're going to give you a flip phone. That doesn't work." Putting the kibosh on smart devices seems strange for a company embracing 3D modeling, additive manufacturing and augmented reality to plan, design and construct ships such as the Ford Class carrier. Yet it underscores the hurdles facing CIOs tasked with shepherding digital transformations in regulated industries. CIOs encountering roadblocks to such foundational activities communication and collaboration are hard-pressed to operate in the agile fashion required to trigger sweeping change. Amin says digital capabilities as necessities for survival and noted that digital business models are the reason that more than 50 percent of Fortune 500 companies have disappeared since 2000. To that end, Amin considers it his job to initiate changes that prevent the shipbuilder from being disrupted. “Who can drive change better than a CIO in a digital economy?,” Amin asks. Once Amin confirmed that smartphones were banned by Newport News Shipbuilding, he worked to convince his business peers that if employees received the proper training that they should be able to carry and use smart devices in the workplace. 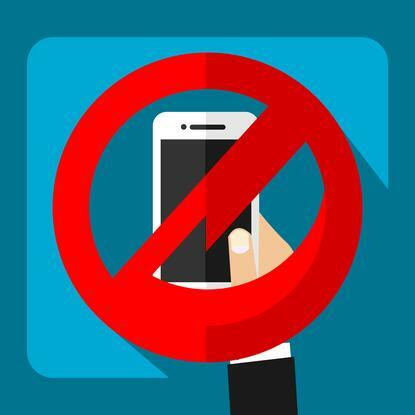 In May, the shipbuilder began allowing employees to use their personal smartphones and tablets. Those who are caught taking pictures are reprimanded and subject to dismissal. A change in protocol has paved the way for happier, more productive workers. Amin is tackling other procedural relics regarding operational and business processes. For instance, although before his arrival the company had ordered 1,600 new welding machines, shipbuilders were still tucking them away in nooks and crannies around the facilities. When Amin asked a foreman why, he was told that a worker likely wanted to make sure he could access the machine when he needed it. Amazed that employees were hiding machines that their colleagues needed to use, Amin set up a sort of "Uber for the shipyard," an online system that allows shipbuilders to order welding machines for delivery and release them back to the inventory pool when they are finished with them. Amin’s IT team is also in the middle of migrating manual and paper-based human resources processes to the cloud. When Amin asked for access to the online portal to view his pay check he was told they didn't have such a service. To accommodate his request, HR employees scrambled to print screenshots of his pay stub. When the new HR system goes live in 2017, it will allow employees to access HR information in a self-service model. Beyond introducing digital capabilities that have become table stakes in corporations worldwide, Amin has another crucial reason for modernizing the company’s legacy technology systems and business processes: attracting and retaining talent. Most millennials refuse to work for organizations whose technology doesn't mirror what they use in their personal lives. That remains one of Amin's biggest challenges. "How do you encourage the tech-savvy workforce to come work for you?" Amin required a large cash infusion to implement the new capabilities, but he also knew that he couldn’t ask for more money without first understanding the cost the changes would incur. To help legitimize the capital investments Amin turned to analytics software from Apptio, which is used by FedEx, Cisco Systems, Microsoft and several other large enterprises. The company’s cloud software analyzes the cost of implementing and running technologies, accounting for dozens of variables, including hardware, software, licensing, as well as technical training, maintenance and support. Amin said that while the software took several months to implement, it was worth it: He got every penny he requested to digitize the shipbuilder’s business and modernize IT through 2020. He says his team is well along its digital transformation path.